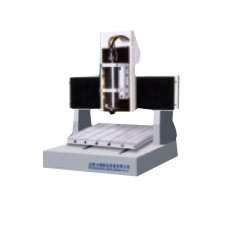 Casting based structure,reliable rigidity.high accuracy. Compatible with all kinds of popular software. Widely application and high cost performance. This machine is used for the professional carving, bronze, data plate,architectural modeis, PVC, wood, plastic board, artificial marble, handicrafts, decorative items, small industry mould, instrument panel and various non-ferrous metals processing.